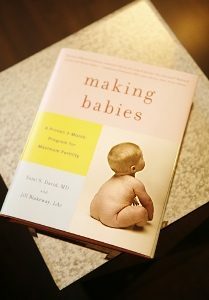 The Fertility Types are at the heart of the Making Babies Program. These types distill the complexities of Chinese Medicine to the most salient factors for fertility. By taking this simple quiz you can determine whether you are “Dry,” “Pale,” “Stuck,” “Waterlogged,” or “Tired.” Knowing your type lets you focus on just the issues and advice most relevant to you and your situation throughout the book. By identifying and understanding the subtle signs your body is providing you’ll be able to save yourself time, energy, money, and heartache by homing in on what you most need to be concerned about and addressing it as efficiently and effectively as possible. Please complete this simple but comprehensive questionnaire to find out your fertility type. It may seem long but we encourage you to invest the time to identify the subtle signs that help you understand your fertility. If you are a woman who fills out your BBT, fill out “Women w/ BBT”. If not, skip it an move to the next section.